Utah Advance | Advancing healthy churches in Utah's unique cultural climate. In partnership with Loving Utah, a church plant network, Ross Anderson is leading a team to create an extensive training curriculum for pastors and church planters new to Utah. 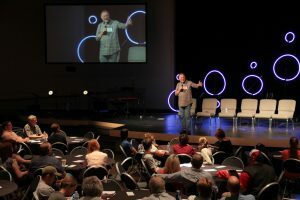 This much-needed training, called “Utah Ministry”, will also be helpful for church planting teams, as well as church leadership teams already in Utah. Each topic comes with related resources for further study and questions for personal comprehension or group discussion. 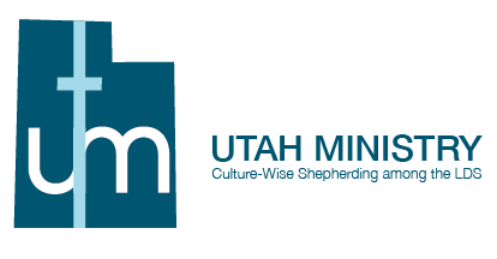 We have compiled a group of excellent contributors that represents decades of ministry experience in Utah’s unique religious and cultural setting. The course will be available on Moodle, a major host of online curriculum. It can be taken individually at one’s own pace, but we recommend doing it in a group or cohort. Training cohorts meet for six months, with the first groups starting next March. Churches, denominations, and other agencies can form and lead their own cohorts as well. Here’s a sample of what this ground-breaking curriculum project will include: Joseph Smith and the Doctrine of God. This year we decided to put on a conference with the purpose of providing hope and wisdom for people leaving Mormonism as they explore a new faith home in historic, biblical Christianity. 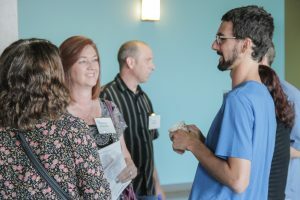 The conference provided speakers, workshops, and individual interactions with others on a similar journey – all to help transitioning Mormons. Our vision for this event came to life on September 7-8 at South Mountain Community Church in Draper, Utah. With 122 attenders, the Faith After Mormonism conference was a success. Many great connections were made and the weekend was encouraging and insightful. inistries, author of Jesus Without Joseph: Following Christ after Leaving Mormonism, and head of the Faith After MormonismYouTube channel. 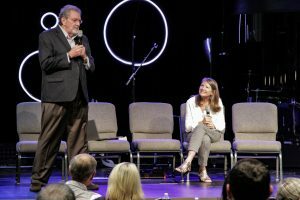 These incredible speakers were also backed by an amazing team of volunteers: Martha Bybee, Linda Enders, Danny Martin, Michelle Mooney, and many others made the weekend go smoothly. The conference was such a success that many people would like to see it happen again next year. We are planning on making the Faith After Mormonism Conference an annual event to help those on the difficult journey out of Mormonism, as well as those helping others on that journey. For more information on the Faith After Mormonism Conference, check out our related website: faithaftermormonism.org/conference. As a pastor in Utah, Jonathan Stoddard has frequent conversations with people on their way out of Mormonism who are looking for a new spiritual home. He often is called on to couns el transitioning Mormons about what to look for in a new church. 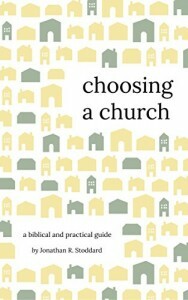 He has boiled down his wisdom about the topic into a short handbook called Choosing a Church. The book is written for those who are interested in Christianity but unfamiliar with the Christian movement, or for those who want to learn more about Jesus, but don’t know where to turn. Stoddard answers common questions like: Why are there so many different churches? Does it matter what music style a church employs? Is there one true church? How do I know what beliefs are essential? This book is very helpful for anyone looking for a new church home, but especially to those coming out of the LDS culture. It answers questions that former Latter-day Saints are likely to have. It answers with theological and historical depth. Pastor Stoddard serves at Jordan Presbyterian Church in West Jordan, Utah. Mormonism encourages journaling, and many Mormons are pretty faithful at keeping a journal. Keeping a journal can also be a great way to process the journey once a person decides to leave the LDS Church. My friend Tracy Tennant has produced a wonderful tool to help. 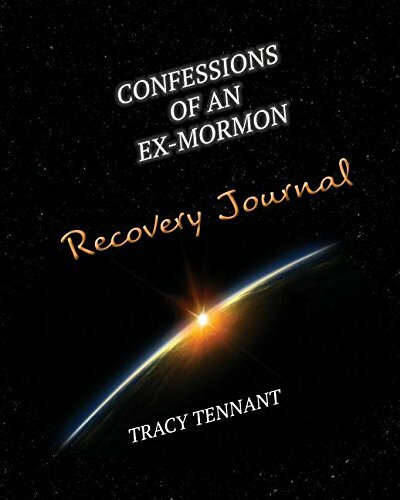 It’s called Confessions of an Ex-Mormon Recovery Journal. It’s filled with open-ended questions about your experiences as a Mormon, your journey in leaving, and how it affected your relationships and your life. There is plenty of space to to document events, record emotions, and plan for your future. This tool will help you or a friend sort through all the difficulties associated with separating from the LDS faith community. To can find it at amazon.com, click HERE. It’s simple and automatic. When you shop at smile.amazon.com, you’ll find the exact same low prices, vast selection and convenient shopping experience as Amazon.com, with the added bonus that Amazon will donate a portion of the purchase price to Utah Advance. Go to this link: smile.amazon.com/ch/45-2613435 to select Utah Advance Ministries as your charity of choice before you begin shopping. Amazon will remember your selection, and then every eligible purchase you make at smile.amazon.com will automatically result in a donation. The AmazonSmile Foundation will donate 0.5% of the base purchase price from your eligible AmazonSmile purchases. From time to time, we may offer special, limited time promotions that increase the donation amount on one or more products or services.